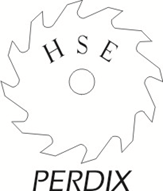 Harris Sawing Equipment cc is a South African manufacturer specialising in the production of circular saw blades and allied equipment. Since 1934 we have always strived to provide the highest quality products that can be fully serviced by ourselves for each product’s entire life cycle. Our products are exported to the USA, UK, Germany, Australia, China, Indonesia, South America and many different countries in Africa.